Jaguar has a long and rich history in the motor industry. A marque born out of humble beginnings, it’s now a thriving international brand. Jaguar have invested billions of pounds to make today’s luxury and sports models some of the best in the world. Some of the models they produce today will become future classics, just like the iconic E-Type. In fact, today’s review is about its replacement, the F-Type coupe! Once again, Jaguar have proven that the British automotive industry is far from gone. In fact, it’s thriving and shows no signs of being anything less. The F-Type coupe is a stunning example of how British craftsmanship can produce a sought-after car. Both here in the UK, and beyond. The Jaguar F-Type coupe has sleek contours and is well-proportioned. Nothing looks out of place on this high-performance sports car. 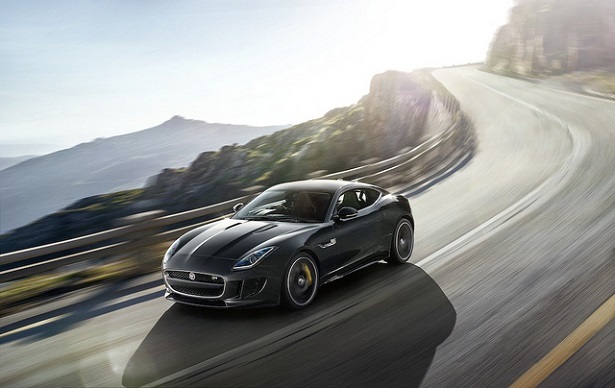 As you might expect from such a vehicle, the Jaguar F-Type coupe offer stunning performance. There is a choice of two engines available to buyers of the car. The first is a supercharged 3.0-litre V6 engine. It offers 335 brake horsepower and will get you to 60 mph from a standing start in just 5.5 seconds. That’s not bad, considering the car weighs around one and a half tonnes! The “S” model also features the same engine but with different specifications. You get 374 brake horsepower and a 0-60 mph time of 5.3 seconds. If you opt for the AWD variant of the “S” the 0-60 mph time is quicker at 4.9 seconds. Of course, the Jaguar F-Type coupe is not a car you would associate with frugal motoring. Insurance is not cheap, and fuel economy is not the best. But what you’re buying is a shining example of British automotive history, not a cheap car to drive around town in! I urge you to go and take an F-Type coupe out for a test drive. You will soon realise why so many happy owners have fallen in love with this model! Search online for directions on where to find a Jaguar dealer. Most Jaguar F-Type buyers will buy optional extras for their vehicles from new. As such, you aren’t likely to find many used examples that stick to the original specs. As standard, you get climate control, an infotainment system and DAB digital radio. You even get a tyre pressure monitoring system as standard too. The “S” coupe gets 19-inch alloy wheels (the standard model has 18-inch ones). Options for both models include panoramic sunroofs, adaptive headlights and a reversing camera.